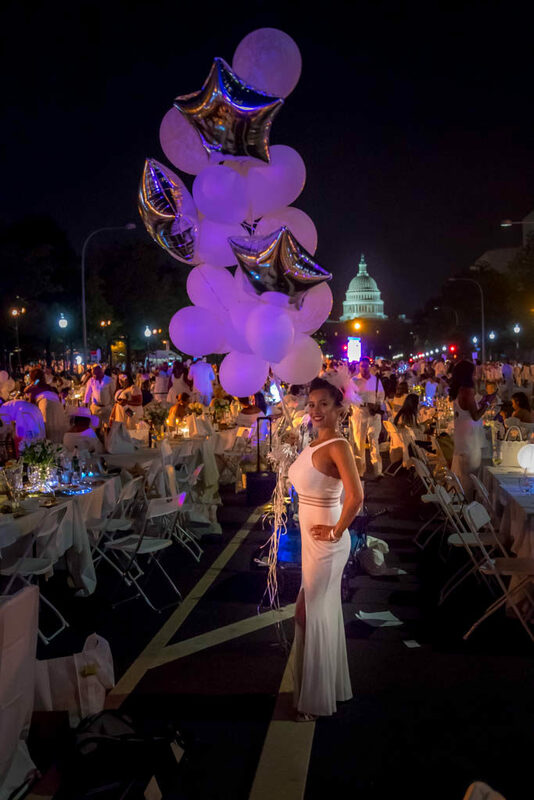 On Saturday, August 26, in one of Washington DC’s most prestigious locations, an immense Le Dîner en Blanc will bring together some 5,000 people to dine at the same table. We extend this invitation to thousands of people who, all wish to share the taste of celebration with us in elegance, joy, and friendship. 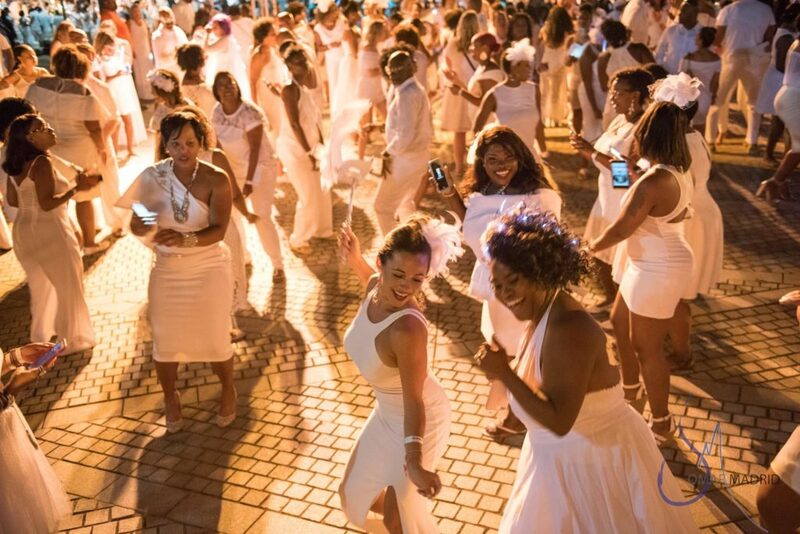 However, Le Dîner en Blanc is ever so much more than just a collective meal: for a few incredible hours, a special magic permeates the site and envelops all in attendance, making everything seem more beautiful and the future seem even brighter. 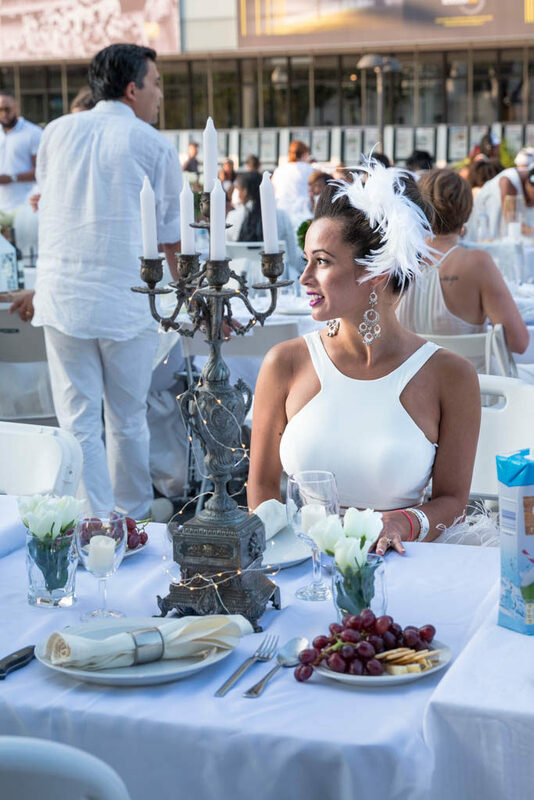 Dîner en Blanc is an exclusive pop-up dinner with an elegant all-white theme. Just like a flash-mob in white, everyone shows up in a simultaneous frenzy, carrying everything needed for the event, including their own tables, chairs, food, etc. They party hard for 4 hours and then disperse back from whence they came, leaving not a trace. You can imagine pulling off such an event does take quite a bit of planning. So after receiving the invitation, we immediately started planning. (For help in planning for the event, check out our Guide to Dîner in Blanc). 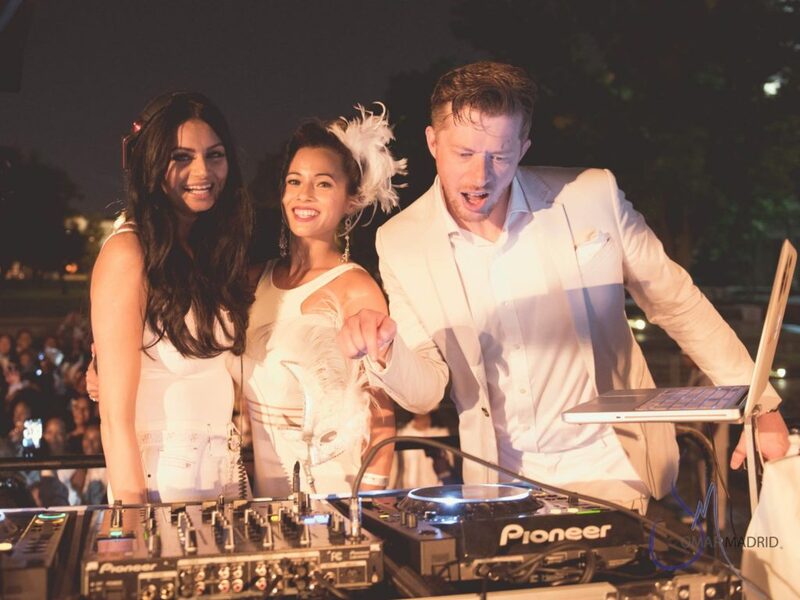 Those who attend Dîner en Blanc wear everything from a classic white pantsuit to wedding dresses, to full-out Parisian wigs and pantaloons. 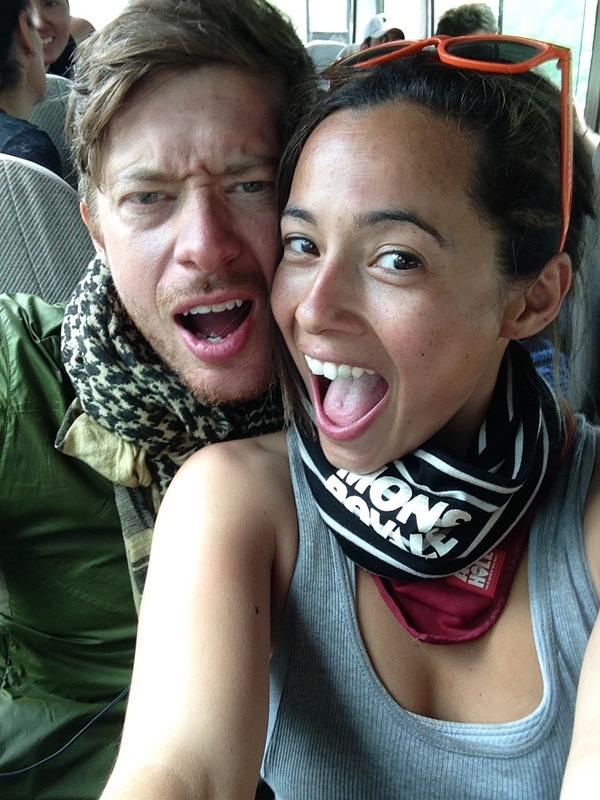 Now while I was tempted to wear a Cinderella-style wedding dress, Scott and I were only engaged at the time. I didn’t want to freak him out by wearing a wedding dress too soon, so I toned it down a little and decided on the Venetian masquerade theme. Keep in mind you have to carry all of it from the meetup point to the secret destination. The first year I was carrying a foam cooler filled with appetizers, glass champagne flutes, white porcelain dishes…basically, imagine anything breakable and I was carrying it. As you might have guessed, I dropped it and everything came spilling out. This year we learned from our mistakes. We borrowed a big old dolly, stacked it up full, secured it tightly with a bungee cord, and Voila! We left our apartment and walked to the metro station, toting everything in hand. We sat in the calm air-conditioned metro car for 35 minutes, enjoying every bit of the cool air before venturing outside into the August heat and humidity. Arriving at China Town metro, we grabbed our stuff and headed to our meeting point. We easily spotted our group given that everyone was wearing white (brilliant idea François Pasquier!). We headed to a shady spot under the Walgreens sign and waited for our “point person” coordinator who would lead us to the secret location. Waiting for the rest of our group to arrive before departing to our secret destination. With everyone in our 20 person group present, we began our parade through the streets. Our leader was holding this 8ft tall DEB2017 sign, covered in all kinds of glitter and pizazz so that we wouldn’t lose her. After every block, another group of white would join in like a tributary to a river. With every step closer to Pennsylvania Avenue, our group was increasing in size. We were finally funneled through a security checkpoint to verify we all had invitations and wristbands. At this point we still didn’t know where the final destination would be, so we were throwing out ideas. One girl behind me was certain “It’s gotta be on the National Mall, probably in front of the Washington Monument”. Her friend insisted “No, I think it is going to be in the National Gallery of Art Sculpture Garden”. Scott was positive they were leading us to the roof of the Newseum. With the Capital Building in view, my vote was for the west side of the Capitol Building along the Reflecting Pool. Busy trying to solve the mystery, we didn’t notice everyone around us dropping their things and setting up their tables. We had arrived! 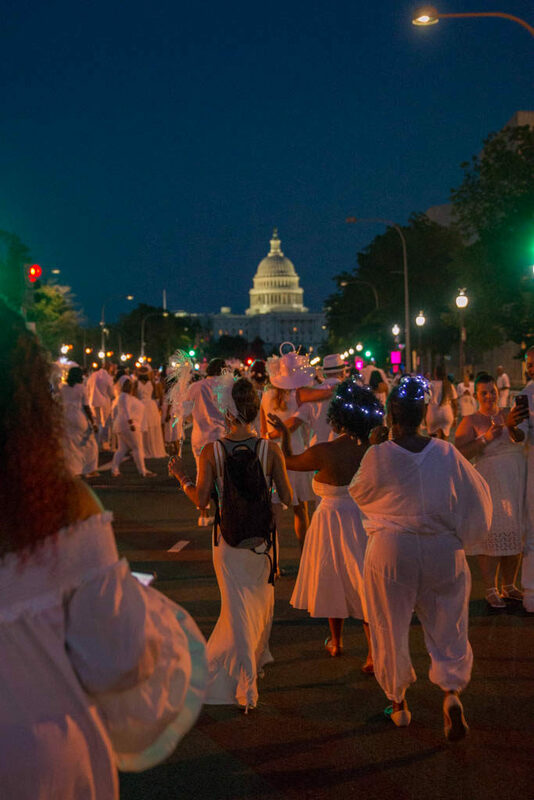 Dîner en Blanc 2017 was to be held right smack in the middle of Pennsylvania Avenue. Each participant assembled their 32” table side-by-side, fitting together perfectly like one long banquet table. Ours was adorned with white roses, several flameless candles (open flame policy), and a Phantom of the Opera-esque candelabra to go with my Venetian mask. We were seated next to the most delightful people. Together we opened our bottles of champagne and shared our appetizers with one another. 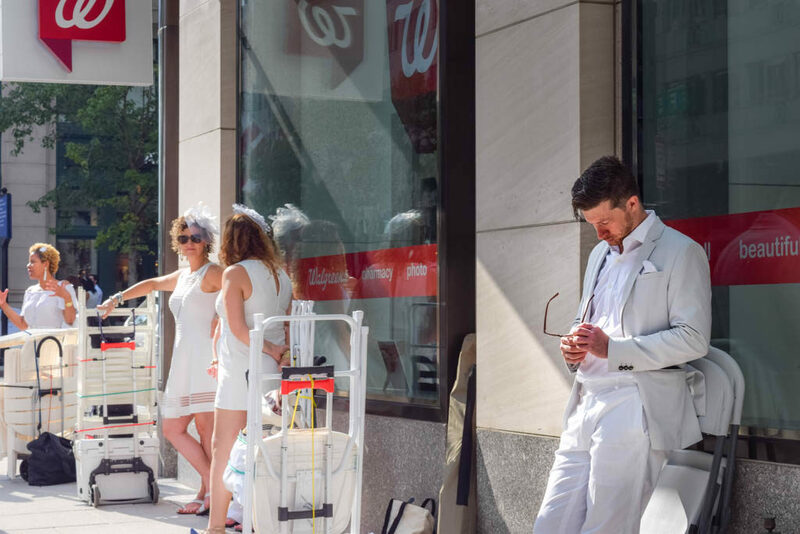 I couldn’t help but imagine that this is what the creator ofDîner en Blanc had in mind when he organized the first gathering of friends and strangers in 1988. At 7 pm, the DJ signaled the beginning of dinner with a wave of her white napkin. Like a message being passed down through the 4,500 guests, a wave of hands went up in the air, enthusiastically twirling their white linens, shouting, and whistling. I may have given off a stereotypical girly “wooooo”, jumping with both hands and napkin in the air. We dined on our delicious steak paired with the perfect Cabernet. The sun began to set, the street lights ascended, and the little lights from the individual centerpieces created a vibrant glow around us; and standing there at the end of Pennsylvania Avenue, illuminating the sea of white below, stood the Capital Building in all its grandeur. It was an incredible sight. After an hour, the DJ cued the music, letting us know dinner had concluded and the next phase of the night had begun…dancing! Stemming from the center of the crowd, tables began igniting sparklers and waving them high in the air in time with Ellie Golding’s song “Burn”. We grabbed our wine glasses and walked down Pennsylvania Ave toward the dance floor. Heading toward the dance floor. People were dancing, singing, hugging and smiling. We were dancing together with strangers as if they were life-long friends. Dîner en Blanc 2017 was an amazing experience that we were happy and grateful to be a part of. If you have the chance to attend this spectacular event, don’t pass it up. Accept the invitation, plan well, and have fun. I guarantee you will make new friends and create a memory that will last forever. We just received our invitation to this year’s Dîner en Blanc. Who’s going to join us? 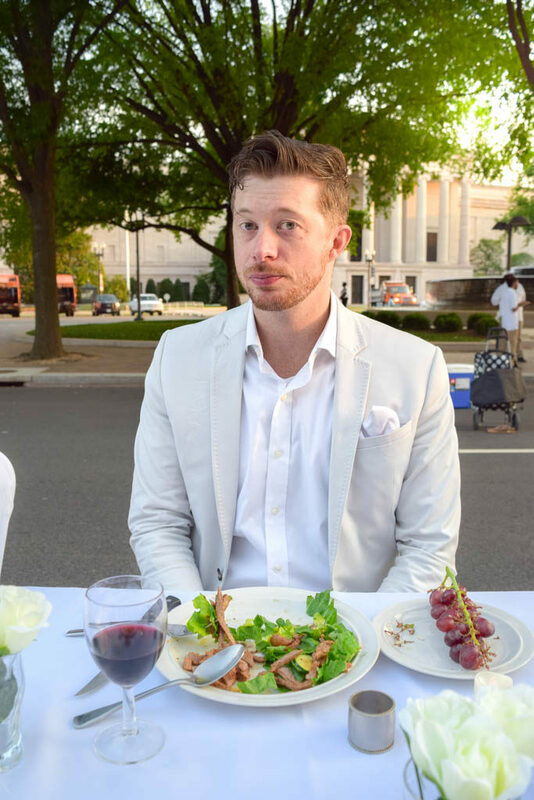 Need help planning for Dîner en Blanc? Read on!